In the newly-created role, Mr McAllister joins RSM Employer Services Limited to lead the firm’s payroll services offering at its centres of excellence in Grangemouth and Belfast. He will also cover RSM’s offices in Glasgow, Edinburgh, Aberdeen, Grangemouth and Lerwick. Reporting to RSM’s UK partner for payroll and HR services, Steve Sweetlove, Mr McAllister will work with the firm’s clients on payroll and human resources (HR) offerings, as well as its enhanced payroll provision which includes pensions and auto-enrolment support. With more than a decade’s experience in payroll, over the last five years Michael built a team at Mazars’s Glasgow office from a standing start to 14 staff – latterly, he also managed the firm’s London payroll team. 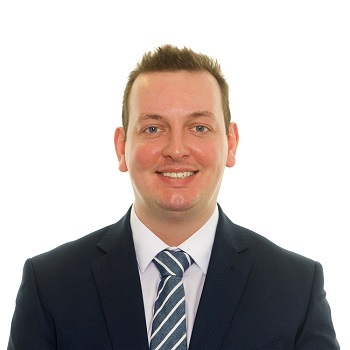 Mr McAllister previously worked at accountancy firms Scott Moncrieff and Tenon as a UK payroll specialist. Michael said that he relished the opportunity to join a firm that was aiming to change the payroll and HR sector, as well as double in size over the next few years.